San Diego's Comic-Con International is happening this week, and since the show has evolved into one of the most popular and important pop culture events of the year, both in and outside of comics. Again this year, the Movies on Demand channel will be attending the show and they've got plans to "bring Comic-Con to fanboys no matter where they are." They might not be there for the preview night, but during the show proper on July 12-15, they'll have reports from the floor, celebrity interviews and more, starting with a sit-down Q&A with filmmaker Morgan Spurlock (director of Super-Size Me and Comic-Con Episode IV: A Fans' Hope) coming on the first day of the convention. Check with your cable provider to see exactly what content you can get, or check out the Movies On Demand website for more details. www.rentmoviesondemand.com/comic, is the online home for MOD’s Comic-Con activity. Viewers can view all the special behind-the-scenes features as mentioned above. Plus, there’s a Comic-Con-themed game powered by Hollywood Player that tests your knowledge of genre films – the first 1000 fans to complete the trivia sprint will win “Cable Cash.” Our Twitter followers (@moviesondemand) will also be treated to special giveaways. 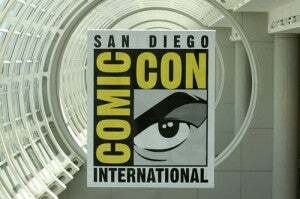 And Facebook.com/moviesondemand will feature daily updates from the San Diego convention center. It’s all a celebration of the On Demand platform as the best way to watch the hottest genre hits from home via remote control. Starring Chuck's Zachary Levi, G4's special will see his Nerd Machine team interviewing folks, showing fans around Comic-Con and generally having a good time of it. They're awesome, and they've got some pretty cool interviews every year, but of course the problem is that it's a pretty restrictive environment; they only get the interviews that can come to their set on the show floor, after all, and it's only a few hours out of the whole weekend. That makes it a pretty awesome overview, but not much more than that--and the fact that G4 tends to re-run it a handful of times means that generally, breaking news doesn't get a ton of coverage becuase it won't be new anymore by the last time the show airs. You might not get up-to-the-minute movie news, but anything that Marvel Comics has going on, you can generally find out within 20 minutes or so after it's announced at a panel. Not only is there a pretty great site, complete with art and quotes from the panels, at events.marvel.com, but there's also a smartphone and iOS app that allows you to take it on the go with you, even when you don't have Internet. DC Comics has one as well--and they've been bragging today about their Con Away From Con site, promising exclusive content--but in the past it's never really been an effective tool for keeping abreast of the news, with announcements coming out hours or days after the comics media already have it. For the first time ever, ComicBook.com will be posting live from the show floor, keeping you up to date with news, photos, interview and videos direct from San Diego 24 hours per day for the duration of the convention. We'll be attending all the biggest panels, talking with a handful of comics' brightest stars and breaking the week's biggest news in realtime from the convention center. We'll be there from Wednesday's preview night, checking out pilot episodes of the fall's hottest new shows, until Sunday night when the Image founders host a 20th anniversary panel that discusses the most ambitious publishing initative of the '90s and how it's managed to sustain a very volatile time in the comics industry. And you can keep posted not only by checking back periodically throughout the weekend, but by keeping an eye on ComicBook.com Senior Staff Writer Russ Burlingame's YouTube page, or by following our coverage team on Twitter. Nick Winstead serves as Senior Writer for comicbook.com and has happily been with the site for almost four years now. A life-long love of literature and pop culture led him to earn a degree in English Education from Western Carolina University in 2000, and he taught high school for over a decade. Besides writing for comicbook.com, Nick will be working on a masters in English this fall, where he hopes to write about the impact of female superheroes. His favorite titles are almost any of DC's Bat-books, The Avengers, Chew, and too many to list here. He lives in Durham, NC and is happily partnered. His favorite X-Man will always be Jubilee! You can follow Nick on Twitter to see what he's up to throughout the convention, even when he's not posting. Russ Burlingame is the Senior Staff Writer for ComicBook.com, and has written for just about every comics news outlet from Wizard Magazine to Newsarama. He'll be covering TV and movie panels all weekend long, in addition to conducting interviews with some of the biggest stars in comics, including a number of the creators behind DC's controversial Before Watchmen event. Follow him on Twitter for up-to-the-minute updates. Zach D. Roberts is a freelance photojournalist and documentary filmmaker who has done work for Comic Related and best-selling investigative journalist Greg Palast, among others. You can follow Zach on Twitter, as well. After all, everybody's doing it. He and Russ are also putting together a photo book documenting the weekend, which you can pre-order on IndieGoGo with your purchase going to support the after-hours coverage that Zach and Russ will be doing at parties and local events in San Diego.